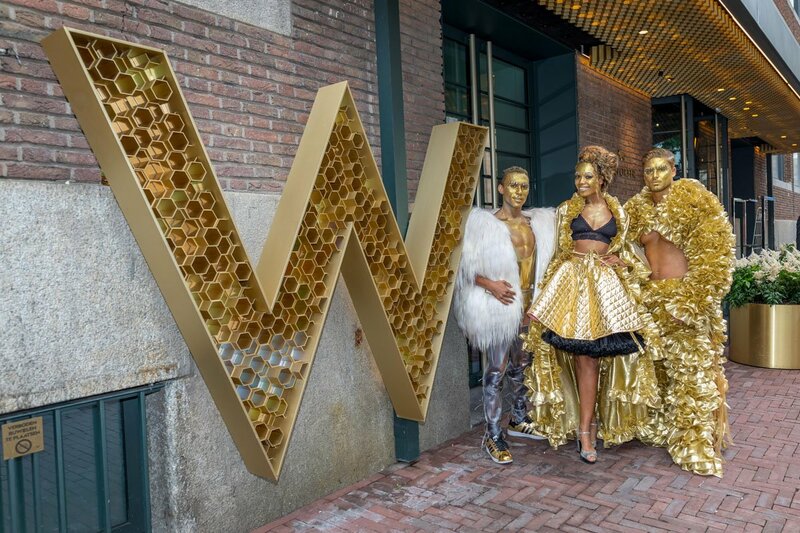 Two stylish buildings in Amsterdam use the cool hotel chain “W”. Anyone checking in here wants to turn night into day. The hotel takes care of it – with the tongue-in-cheek motto “Detox – Retox – Repeat”. In Amsterdam, one of the simpler exercises is to celebrate the night. In addition to the gay bars in the Reguliersdwarsstraat, large events such as the gay parties Funhouse and Rapido attract guests from all over Europe. The Pride in Amsterdam, which is celebrated on and along the canals, is for many the most beautiful in the world anyway. 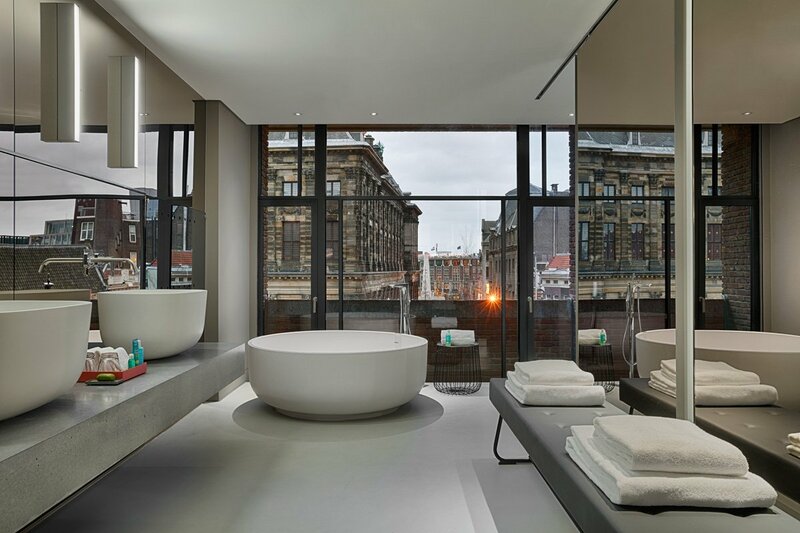 These qualities of the Dutch metropolis are also known to the stylish luxury hotel W Amsterdam, which participates with its own boat on the Pride. Under the motto of the chosen trio of “Detox – Retox – Repeat” it specifically targets gay guests. But the combination of Detox and Retox is not just for Liberal Amsterdam, but for the hotel itself, housed in two complementary historic buildings in the heart of the old town: the former Telegraph Office and the KAS Bank, just across the street , While the Telegraph Office now operates under the name “Exchange”, the bank building is simply referred to as “Bank”. All set up for exchange is the “Exchange”. Here, on the top floor, is the lounge, where guests are welcomed and immediately take in a panoramic view of the city. If you like, you can also see and be seen on the wet deck. Amsterdam’s first rooftop pool promises a welcome dip in the summer and is fortunately heated in winter. Art exhibitions and fashion shows make the Exchange building one of the city’s creative meeting places. The design takes on the function of the telegraph office with bold lines and generous areas that once connected the citizens of Amsterdam with the rest of the world. If you are tired of the hustle and bustle, you can switch off in the bank building. 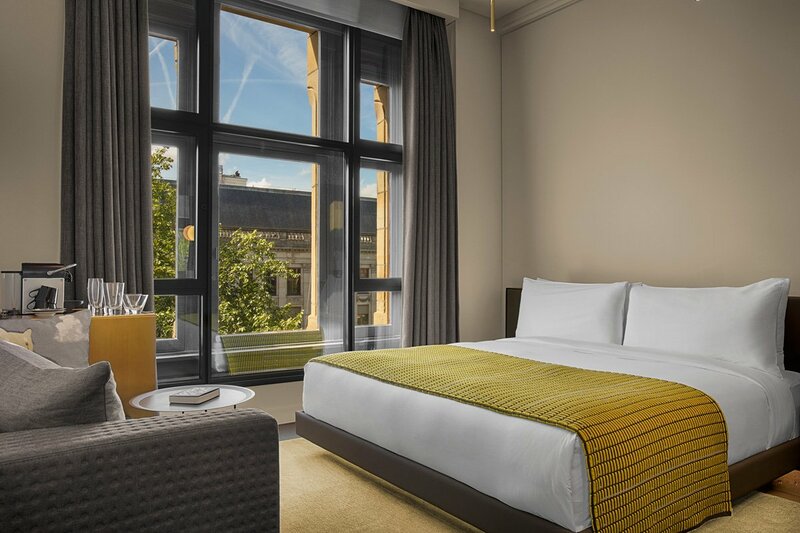 From the fitness center you can watch while exercising on the Singelgracht flowing in front of the windows. The Bank’s two former vaults also house the Away Spa, which adorns the history of the building in chic black with golden design elements. With seven spa rooms, sauna and steam room as well as pool and relaxation area, it is aimed at locals and hotel guests alike. The rooms in the bank building also take up the theme of the bank and cool the drinks, for example, in a mini-bar reminiscent of a mini-safe. The W’s three restaurants promise even more delights. In the contemporary The Duchess, the steakhouse Mr. Porter and in the modern burger restaurant The Butcher, there is nothing left to be desired.